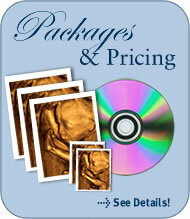 Diablo Valley Perinatal 3D|4D is a fetal imaging facility unlike any other in the Bay Area. We cater to families that want the highest quality 3D|4D images possible for the unforgettable memories of a lifetime. Our 3D|4D fetal photo sessions are performed by specialty trained RDMS certified sonographers in a practice that specializes in detailed fetal imaging and prenatal diagnosis – not by uncertified technicians in a shopping mall. Our state of the art ultrasound equipment is of diagnostic quality, able to capture the best digital 3D images and 4D movie clips possible. Your pregnancy is a once in a lifetime experience and the 3D|4D images of your baby will help you remember how special your pregnancy was for years to come. Leave nothing about your pregnancy to chance – especially not the images that will be memorable for the rest of your life.